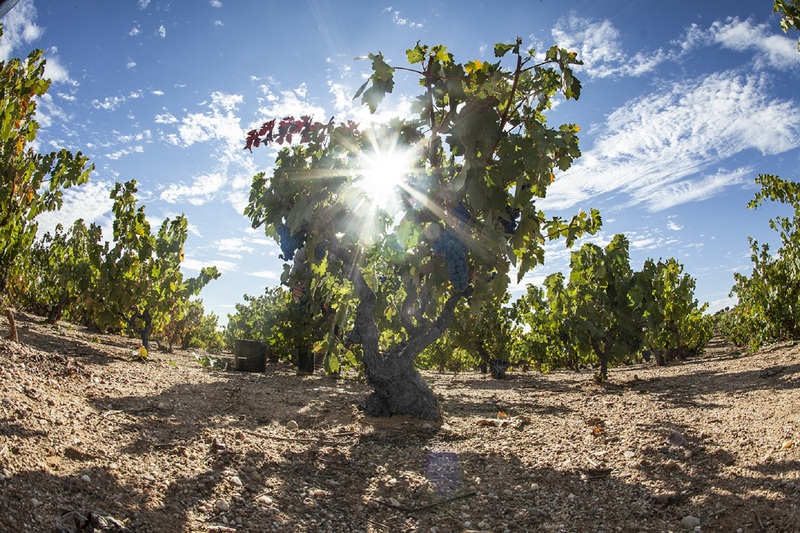 Although moves were afoot as early as 1980, it was not until 1982 that the Ribera del Duero Region was officially approved and founded with 12 wineries registered, one of which was Viñedos y Bodegas Gormaz. The Winery currently has 520 hectares which are divided in more than 1.000 small estates grouped in approximately 70 parajes (wine growing areas), forming a great variety of microclimates, orientations and types of soil. It is one of the longest-lived areas of the country, with an average age of 65 years, with 70% of its vineyards over 80 years old. The winery manages the vineyard under long standing agreements with many of the region’s winegrowers, that enable us to play a hands-on role in the grape ripening and selection processes and thereby guarantee maximum quality year after year.